It’s the beginning of the second day of four that consist of various E3 press conferences and digital events, and here to start things off is the Xbox Briefing, which I really believe is more of a “Microsoft” briefing now. We expect very little surprise from this event, but hopefully there are at least a couple of indies to really shine or maybe a big surprise (yeah, right). 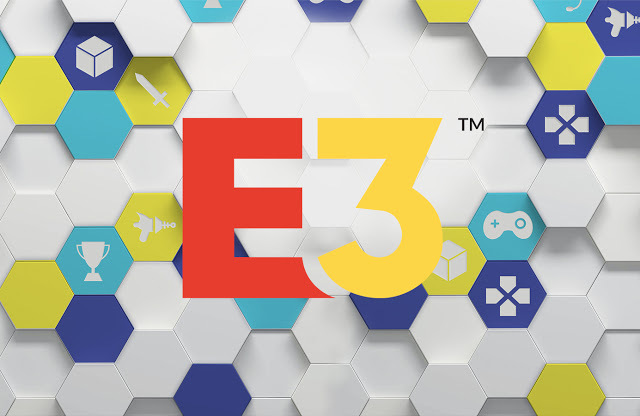 Related reading: Catch up pin E3 2018 yesterday’s E3 conference. Phil Spencer, Head of Xbox, comes onto the stage. He’s talking about everyone watching, and all I am wondering if if this is live captioned for those hard of hearing? I can only assume not, but Microsoft out of any E3 presenter should be able to do this. He’s talking about gaming (a word I hate) bringing us together through competition and story. Apparently gaming fosters real community, although I see little of that outside of the indies. Wait, he referred to games as an art form. PHIL SPENCER SAID GAMES ARE ART. Wow... just... wow... even the dudebros have to admit it now! In this briefing we are promised 50 games, 18 exclusives, and 15 world premieres. So are you ready for this? Because I’m suddenly very very afraid. That is a lot of information in not a lot of time and my fingers and crying already. This game is gorgeous and definitely Ori from the get-go. The animation, the use of colours, the soundtrack, the characters, it’s all right up my alley. From Software and Activision so I’m not bother to talk about it. Moving on. From Bethesda, we have Todd Howard. That means it’s Fallout 76 time, and a few fans are going wild. He’s definitely ramping up to something that can be played with a lot of people simultaneously. Fallout 4 is on Xbox GamePass starting today, but what really matters is the first look at Fallout 76. It’s a prequel to the entire series, four times the size of Fallout 4, set in the hills of West Virginia, you are one of the first to emerge into the Wasteland. The fighting has stopped and the fallout has settled, but you must rebuild homes, hearts, and minds. And America itself. How patriotic. You can pre-order the title on June 15. The music that began this trailer made me scream Life Is Strange 2, but it’s not. It’s an original story by Dontnod though! On June 26, you can download this game for free and experience the story of a father and a son. The Awesome Adventure of Captain Spirit. The Life is Strange Twitter account confirms the game will also be available on PC and PlayStation 4. I hear Terry Crews, so this must be Crackdown 3. I know nothing of the series, but it looks like in the future people in fancy suits blow things up a bunch? Nier: Automota finally comes to Xbox with the Become as Gods edition, which includes all previously-released DLC. Apparently I’m all about water effects today, because all I can focus on is how the water on the ground looks in this trailer for Metro Exodus. As far a shooty games, the Metro series isn’t too bad, but they do all start looking the same (as do many other series) after a while. February 22, 2019. The latest game in a legendary series, for the first time ever, Kingdom Hearts is coming to Xbox. There’s Frozen, so I hope you’re prepared for that darn Snowman song to be in your head for another two years. You can also swing by Rapunzel’s hair and help Hercules save someone from sudden squishing, or run around Andy’s room with Woody and Buzz. Play it on January 29. There’s been a bunch of friends made and a bunch of hours played, and now there will be more content to use to make more friends and play more hours. Cursed Sails and Forsaken Shores are expansion packs, coming soon. It’s a DICE title (EA) — so this means we’re looks at Battlefield V. It’s a look at Norway specifically, a lovely setting but we all know what will happen in it. Microsoft Studios means maybe an indie title? That’s an awfully fast car for an indie title.... The license plate says Horizon: Forza Horizon 4. Ooh there’s some wicked precipitation on camera moments — darn it, there I go again with the rain thing! There are cars are boats and motorbikes. Ralph Fulton is coming to stage to talk about it, so we get a brief reprieve from having games thrown at our faces. It’s set in Britain and features dynamic seasons that change “everything,” apparently. October 2, and on GamePass the same day. I’m always up for a new trailer for We Happy Few. In the game, people are forced to take pills of “joy,” which disguises the dilapidated world to them before making each turn violent and against each other. The game has progressed massively since its original preview release, and I continue to be more excited to play the final product after skipping every update in between. And we have a release date! August 10 on Xbox, as well as PlayStation 4 and PC. Or whatever this is. Let’s forge ahead, it’s not worth the effort to even watch. Tales of Vesperia Definitive Edition is coming to Xbox One, including content and characters coming to the West for the first time. This is something we don’t often expect to see on Xbox so it is more than welcome. Washington, DC. America is on the brink of collapse but some people have survived. Urban Warfare. It’s a Tom Clancy title for sure, I’m guessing — correctly! — The Division 2. We get a trailer as well as some gameplay footage. 55 minutes in, and we’re only 15 games deep into the promised 50. That means at some point, Microsoft will dump two dozens titles on us very quickly. Indies? Backwards compatibility? Here we go, Xbox GamePass head of beginner, Ashley Speicher. Is this that “bunch” we’re expecting? She’s asking, what if you didn’t have to choose between games? I say, everyone has to, we only have so much time in the world. But I do see what she’s getting at, for those who purchase big titles all the time GamePass would be a big save. Now there’s fast-start, different to ready-to-start, fast-start uses other user’s data about how they play the game to decide what needs to be downloaded first. This will be included in the June update. But no bunches, unless the few titles coming to GamePass that have already been released count. Here’s the bunch! Xbox, if you’re listening, stop doing this. It’s irritating and gives none of the titles the time deserved. Or at least make a place it is easy to access the information quickly. Square Enix and Eidos Montreal means Tomb Raider! I got into the series when it was revamped and am now obsessed, despite my weird opinion that Go is the best. Shadow of the Tomb Raiser is due out September 14, 2018. I recognize this game, it’s the Skate-type title made when fans couldn’t get their beloved franchise rebooted. I’d rather wait for the franchise that will never ever be rebooted, it’s more fun to complain about. Also, I’ve tried Sessions on PC and it is way complicated. From Pearl Abyss. The story seems cool, about someone born three times who met her death three times. It’s MMO RPG, which I can’t really play so I’m a bit bummed out. Immediately, this trailer is extremely violent and gory. It’s been a decade. It’s from Capcom. Devil May Cry 5. Quippy dialogue and really, really big monsters ahead! The crowd is excited. I’m excited. You’re excited! This promises to be the biggest adventure game the devs have created. The game was made for the fans, which can be good or bad depending on the fans, no? The Cuphead fad continues, with new DLC called “The Delicious Last Course.” New bosses, locations, a new playable character, and more. Coming next year. Oh my goodness this is adorable and I need it! The little fox. The scenery. The graphics. The sounds. Did I mention the little fox that is the lead character? Like, fox meets legend of Zelda. Bandai Namco’s next title. It’s familiar and unsurprising, it’s.... Jump Force? It releases next year. It has all the anime. No, really, it does. Sorry, I’m getting extremely bored and tired of these games. Dying Light 2 is happening. It promises to continue the fluid parkour system and scary, scary nights. This is The Modern Dark Ages. A lot of time has passed in this comic book world... I’m seeing The Wolf Among Us II? Ha, I’m way off. It’s Battletoads time! Body-morphing genre mashups and broad non-feature specific thingies! Same old. Ooh look at the dude wearing a gun and staring into the sunset. Deep. December 4. That’s a new Gears of War! Ew, no, it’s Funko. Gross. That makes it even worse, somehow. Gears POP is apparently a game. BUT Gears Tactics is coming, so I suppose that will also be something to... do? Oh wait, there’s Gears 5. An actual title. That’s a start. The war for humanity has escalated in the city and within Kait herself. Specter is back, talking tech. It is working on AI, the next consoles, etc. And this surprises people for some reason? The company is now committed to first-party games, hence the five new teams they’ve taken on. I don’t like these sweeping statements. “You’ll always experience the best of gaming on Xbox.” Ummmm no, no, I won’t. Oh look a fake computer glitch, clearly leading into LIFE IS STRANGE 2. I lied. Cyberpunk 2077. I’m awful at guessing. And really eagerly waiting to see Life Is Strange 2, although I assume it will most likely be at Square Enix’s event tomorrow. There’s another compilation happening, featuring what we’ve seen in this briefing. Really, other than the Dontnod title and some of the indies that flashed on the screen, very little is of interest to me. What about you? If you missed it, or want to watch again, the entire briefing is available here.